..... entering at Kraft It Up this month. I have always checked out the challenges, but this is the first time I have actually managed to finish and upload one ... lol. 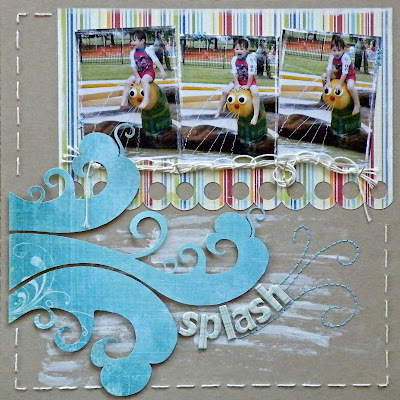 Pics of my little man having a blast at the local pool teamed up with some Fancy Pants Summer Soiree papers make for an awesome summer themed page. This looks awesome. LOVE those waves. Great layout. I love the "Splash" part at the bottom. Makes me feel like I was there.